Yep! 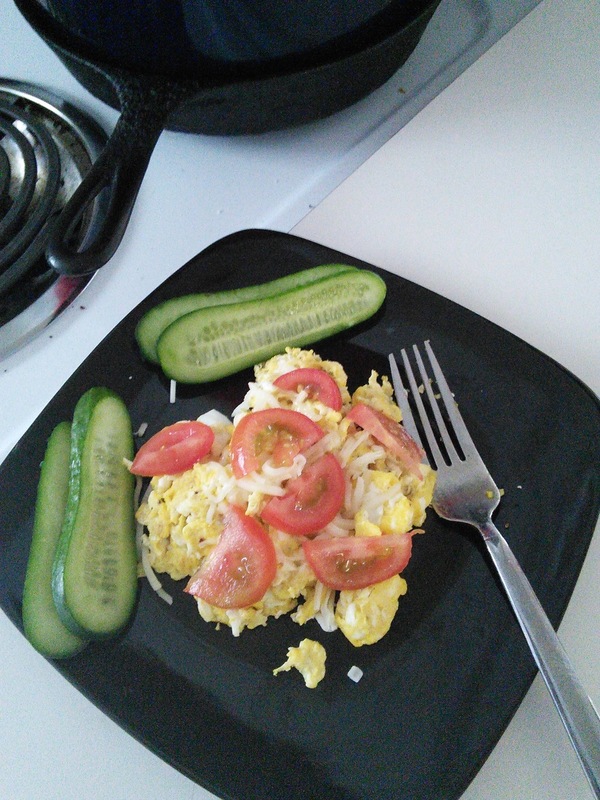 Always adding something to a simple (and quick) scrambled egg breakfast, so this time why not sliced cucumbers. Eat, Enjoy and Feel Healthy and Refreshed! P.S. What other add-ins do you use to spice up your eggs in the AM (or PM)?? ?